(CNN) -- Scientist and conservationist Eugene Ratagarama has spent 20 years protecting Africa's endangered mountain gorillas in war-torn Rwanda. Today he is the Director for the International Gorilla Conservation Program (IGCP), the first African to be appointed. But it has not been an easy task. In his quest to preserve the mountain gorilla, Ratagarama has faced persecution, death and has seen a number of his colleagues killed during one of the worst ethnic conflicts of the 20th century. 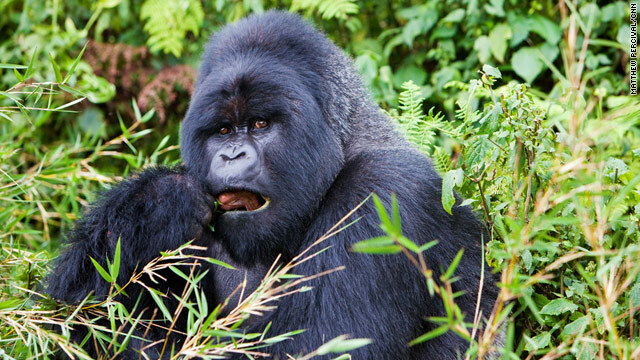 Ratagarama first became involved with mountain gorillas in 1990, when he worked as a plant researcher for the Karisoke Research Centre, in Volcanoes National Park, Rwanda. It was during this time a rebel group calling themselves the Rwandese Patriotic Front attacked the country. 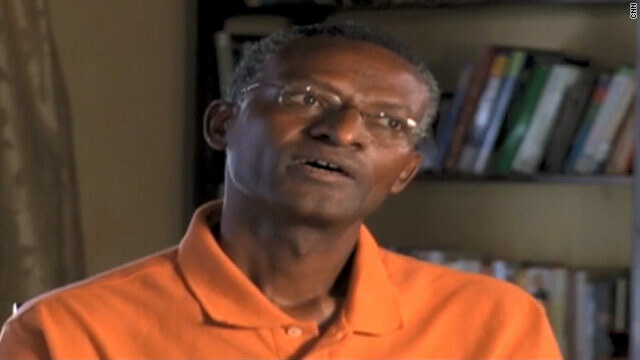 Ratagarama was arrested as a Tutsi and persecuted. Released in 1991, he fled to Burundi, lucky to escape with his life, he told CNN. He lived in exile for three years and at the end of the 1994 genocide, Ratagarama returned home determined to protect the mountain gorilla and its natural habitat. But he was unprepared for the devastation his country had suffered, and returned to find his entire family, including his mother, father and three brothers dead; slaughtered during the genocide. In order to save the mountain gorilla, his goal was to maintain and preserve the national parklands. But after so many years of war the environmental degradation was extensive. Extremist militia groups and government officials continued to fight in the parks. This was perhaps the most dangerous time for the conservationists, with a number of park rangers and guides killed, either by the numerous land mines scattered along forest paths or caught in the cross fire of the warring factions. The whole country had to resume from scratch. My attention went to the national park. But it was the mass movement of refugees that was the greatest threat to the regions' mountain gorillas. Forced from their homes, they swarmed into national parks on an unprecedented scale. The sheer numbers of displaced people could have spelt the end for Volcanoes National Park, but it was Ratagarama's persistent efforts and intense lobbying that ensured huge areas of wildlife were preserved, as the country struggled to resettle more than two million people. Today things are looking brighter. Ratagarama and his team are at the forefront of eco-tourism, with the money they make going towards the preservation of mountain gorillas and the neighboring communities near the parks. Not only has Ratagarama helped to save the endangered mountain gorilla, but his conservation tactics are now used in other war-torn regions struggling to preserve their wildlife. For his tireless efforts, Ratagarama was awarded the Jean Paul Getty Prize in 1996, the Goldman Environmental Prize in 2001 and recognized as a CNN Hero in 2007.